“We have a picture of a Maori warrior in our hallway at home with that quote underneath. Every morning I would wake up and see the painting. You have to live in the moment and I love the quote.There is little doubt that what lies within the Tall Fern’s guard is a desire to be the best she can be every time she steps onto a basketball court. Diving on a loose ball, grabbing an offensive rebound, winning the hustle plays are the key features of Gallaher’s game. Described by some (well me anyway) as the ‘Mika Vukona’ of the women’s game in New Zealand gives you a fair idea of the qualities she brings to the Tall Ferns. Playing with commitment is a given for Gallaher but playing in the series against Australia next month will be a new experience. Success on the international stage this season will cap off a terrific 18 months for the Otago born guard. She is currently based in Melbourne playing for the Hume City Broncos, the team currently leading the prestigious Big V competition in the city. Gallaher averages 12.2 points, 4.4 rebounds and 2.4 steals per game for the defending champions that currently boast a 16-2 record and are favoured to win back to back titles. 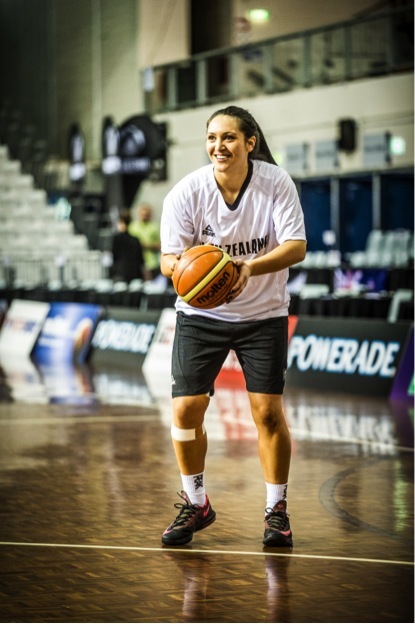 The former Kavanagh College student also took a little time away from the Bronco’s campaign to help her beloved Oceana Gold Rush Otago win the New Zealand Women’s Basketball Championship in June and was selected in the WBC All Star Five. Back in the international environment Gallaher has ambition to be part of the programme for many seasons to come. Gallaher will celebrate her 23rd birthday during the series against Japan next month but a win against Australia in the FIBA Olympic Qualifying Series the following week would be an ideal, belated present for the Kiwi guard. “Beating the Aussies would be the best present, I would be extremely happy”. One thing is for sure, with that Vukona like attitude, she won’t be taking a backward step against the world number two ranked Opals.